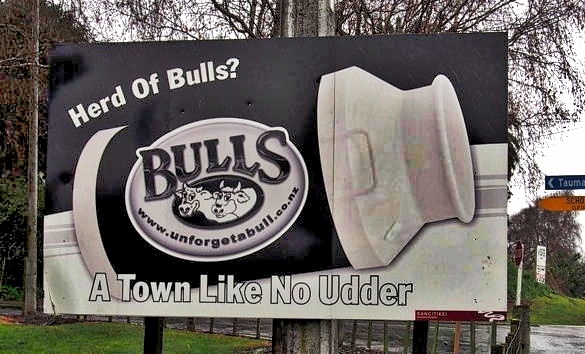 One more oddity I encountered on my New Zealand trip: the town of Bulls (population 1755), "a town like no udder." It's the town where everything is a pun on its name. Even the individual shops play along with the punning. 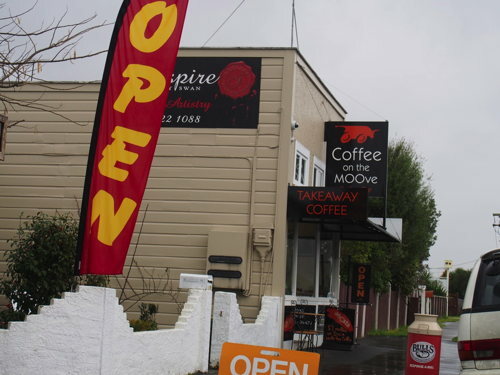 So, for instance, you get the "Coffee on the MOOve" cafe, and the What A Load of Bull Deli, which serves "palat-a-bull" products. The puns just go on and on. 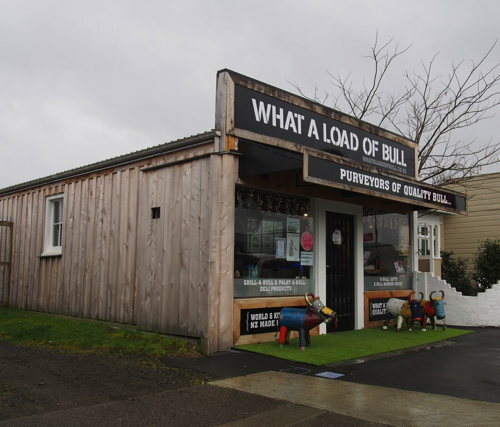 Recent marketing makes puns with the name, for example "New Zealand gets its milk from Bulls" or the sign for the local police station "Const-a-bull". The town's sister city is Cowes, England. The town is named after James Bull, who founded the town and owned the first general store there. 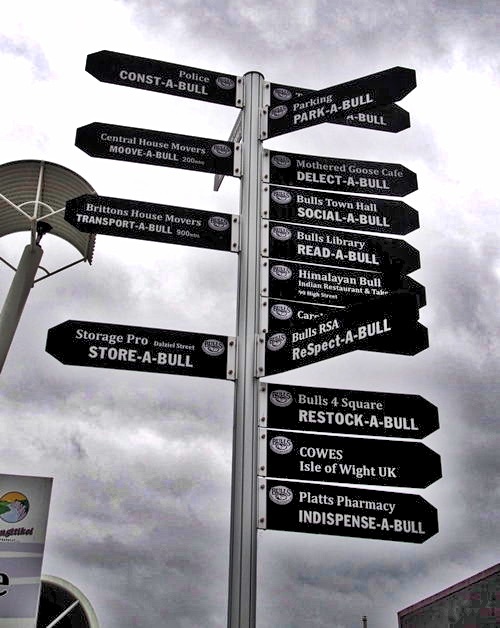 The town was originally called Bull Town, but this was changed to Clifton and then renamed back to Bulls at the urging of Sir William Fox. Why am I thinking of the opening credits of Futurama?